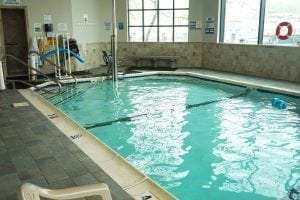 Professional Physical Therapy in Copiague, New York houses a Therapeutic Pool, where members can exercise independently or in a group setting. Exercising in therapeutically heated water helps increase range of motion while reducing pain and stiffness. We also offer a Fit and Swim program which is a group exercise class offered by the Arthritis Foundation. in Copiague, NY, call 631 842 4606.